Dr. Ocampo received her B.A. from the University of California, Irvine, and Master’s and Ph.D. in Clinical Psychology from Arizona State University, where she studied Ethnic Identity issues under Martha Bernal. Her pre-doctoral internship was completed at Nationwide Children’s Hospital (formerly Children’s Hospital and Children’s Hospital Guidance Center) in Columbus, Ohio. Following internship, Dr. Ocampo joined the Clay County staff at Hamilton Center, Inc. (a regional behavioral health center) where she served as Program Manager for 20 years. During the last 4 years at Hamilton Center, she also served as the Program Manager for the Sullivan County Hamilton Center office. During her tenure at Hamilton Center, Dr. Ocampo was involved in promoting school-based mental health services and was involved in several community boards and committees in the counties she served. Dr. Ocampo is a licensed Psychologist in the State of Indiana and has experience in clinical work with all ages. She is the Director of the ISU Psychology Clinic, training clinic for the Psy.D. Program. 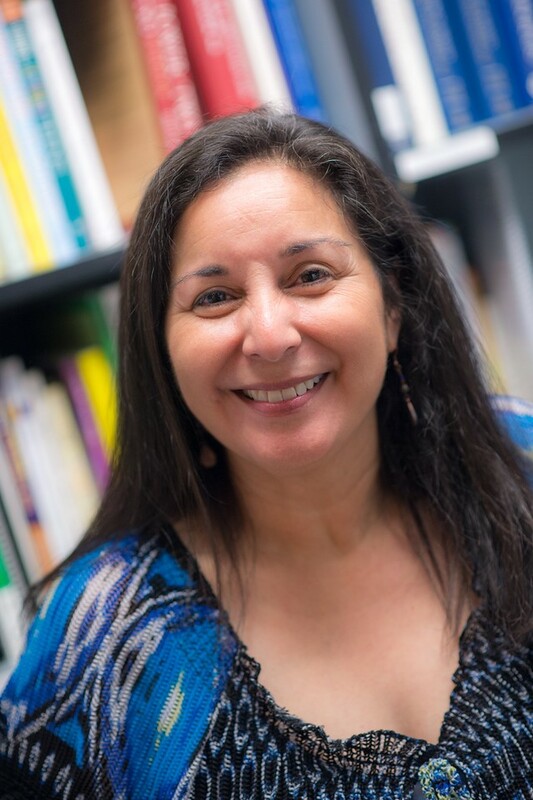 She teaches several courses in the doctoral program including: Foundations of Psychotherapy, Supervision and Consultation, and Clinical Supervision.